The bitcoin rally continued Monday, and investors are betting it will go even higher. Bitcoin (XBT) was trading at more than $16,000 early Monday morning, up about 8%. And bitcoin futures, which started trading Sunday on the CBOE, showed that investors are betting the cryptocurrency will continue to climb in the coming months. The January futures price was about $17,800, or about $1,500 above Monday's spot price -- or what people are paying to purchase bitcoin immediately, rather than contracts on its future price. The futures price for February and March were even higher, around $18,000 for each. As bullish as those prices are, they are down from Sunday's price for February and March contracts, which had topped $19,000. Futures are contracts that let investors buy or sell something at a specific price in the future. These futures are unusual in that, unlike traditional commodities such as oil or agricultural products, bitcoins aren't physical assets. And unlike traditional currencies, there isn't a central bank that backs bitcoin. They are created on computers using complex algorithms and recorded in a digital ledger. Offering futures contracts for bitcoin allows investors to speculate on the digital currency's price without actually owning any bitcoin. 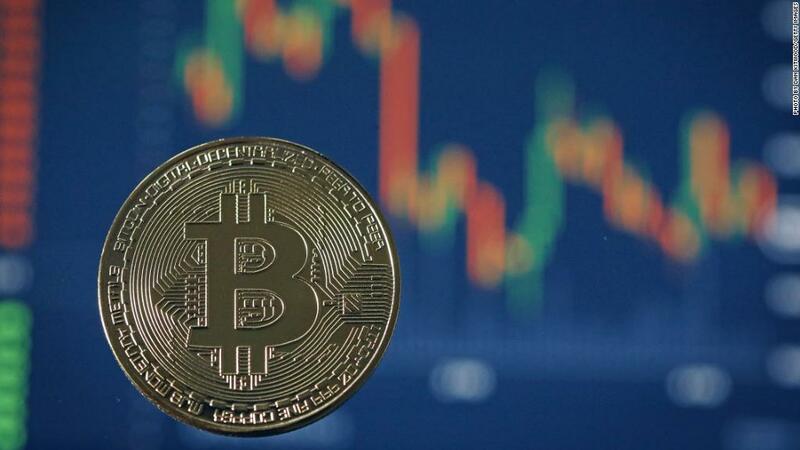 It also gives investors who believe that the run-up in price has produced a bitcoin "bubble" a chance to place a bet that bitcoin will soon fall in value. There have been a few sharp dips along the way, but bitcoin's rise has been stunning, having doubled in price over the last three weeks. It is up more than 400% in the just the last two months, and up about 2,000% in the last year, according to CoinDesk. It had traded for less than $1 briefly in 2011.